When the mercury is falling and the trails are calling, the Double Corbet 120 hoody is ready to go. 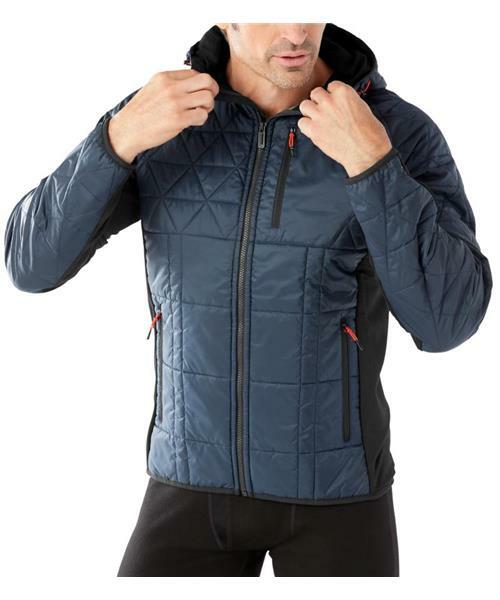 This cold weather favorite features Smartwool's heaviest SmartLoft insulation from front to back for ultimate warmth and Merino next to skin for temperature regulation and moisture management. Insulation down the sleeves adds extra warmth while an updated quilting pattern adds texture. Stash you keys and warm your mitts in secure side zip hand pockets and cover that noggin with a Merino-lined hood.